We’ve seen technology take off in the last 20 years. 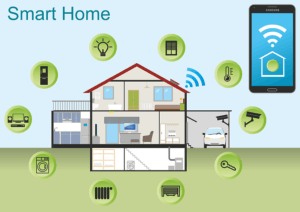 The trend for Smart Devices is on the rise, making life at home easier. 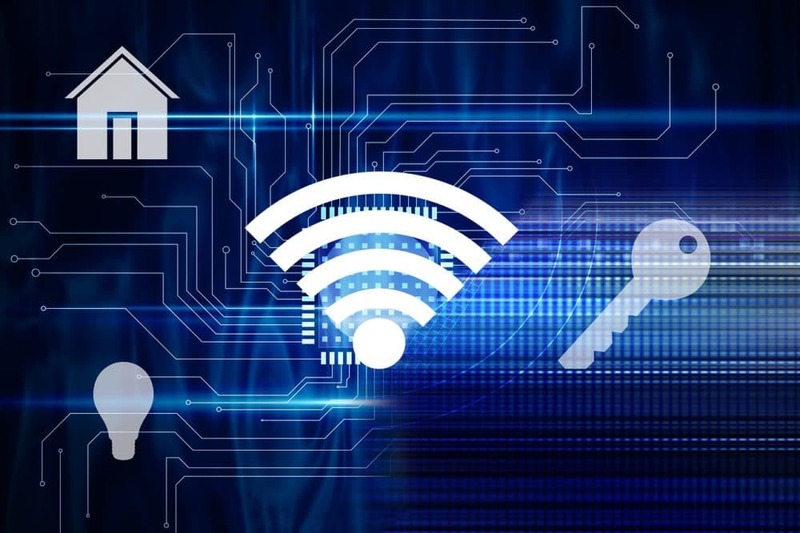 In 2018, there’s a smart device for just about anything – garage door openers, vacuums, and refrigerators. Some of these systems even make your house more energy efficient and can save you money. Here’s a few helpful gadgets to add around your home this summer. Security – August Smart Lock: Never fumble trying to find your keys or have to make extra trips with this automatic lock and unlock system. A Doorsense module also lets you know if you’ve left the door open. This lock has its own app, and works with both Android and iOS devices. Temperature Control – Nest Learning Thermostats: It learns what temperature you like and builds a schedule around yours. The Nest helps you save on your energy use with its auto-away mode which automatically turns your system to away mode when it doesn’t detect motion for a while. Surveillance Cameras – Netgear Arlo Pro 2: The Arlo cameras are weatherproof so you can place them indoor or outdoor for added security. It’s a 100% Wireless – this camera is free of power cords and wiring hassles. Also comes with night vision producing high quality video with sharper and brighter details. Night Vision turns on automatically in low light so you can see clearly, even in the dark. Cleaning – Braava Jet 240: With the rise of hardwood, tile, and stone in most home remodels, mopping is key to keeping them looking new. Mopping is one of those chores that is often avoided because it’s labor intensive. Like a Rumba this smart mop gets to those hard-to-reach spots. It automatically chooses the perfect cleaning setting – wet, damp, or dry – based on the type of pad you attach to it. 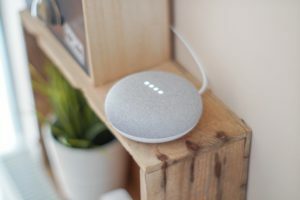 Central Hub – Amazon Echo or Google Home: Both the Amazon Echo and Google Home are voice-controlled speakers, which you can use throughout your home without using your hands. Plus, compatible gadgets let you depend on ‘Alexa’ to adjust aspects of your smart home by doing things like turning down the thermostat or turning on a light. Lighting – Philips Hue Light Bulbs: A smart lighting system that enables you to wirelessly control the lights in your home. This system is easy to install, easy to use, and gives you plenty of options for how to set up your home. Electrical – Belkin Wemo Mini Smart Plugs:This smart device is a Wi-Fi-enabled switch that plugs right into your existing wall outlets. It allows you to control things like lamps, tabletop fans, coffee makers, and other small appliances, using your Android or iOS devices. Water Leak Detector – ihome Wi-Fi Battery Powered Dual Leak Sensor: If you’ve ever experienced water damage caused by pipes or an old water heater, this smart device can put your mind at ease. Here’s an install-it-yourself water sensor for making sure a small leak doesn’t become a big problem. The Wi-Fi–connected iHome iSB02 is reliable, and it’s sensitive enough to detect anything from small trickles to large leaks. 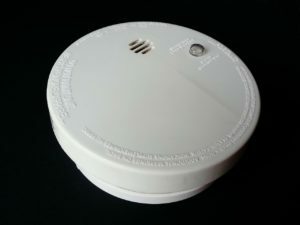 Fire Detection – Nest Protect: A full-featured alarm detecting smoke as well as carbon monoxide, blaring out a loud siren and telling you which room the problem is, available in both wired and battery-powered versions. It works with a lot of other smart home systems, and even performs self-checks every month. Garage Opener – Chamberlain MYQ Garage: Open and close your garage door from anywhere with your smartphone. Easy-to-add functionality with your existing garage door openers. You can also receive alerts when your garage door opens or closes in real time by setting up customized notifications. If you feel like your home is behind the times or stuck in last century, it may be time to call in the professionals. Let the pros at Royal Home Improvement Specialists update your siding, add energy efficient windows, or install a new sunroom. Give us a call at (800) 414-4806, for your free in-home estimate or schedule one online!